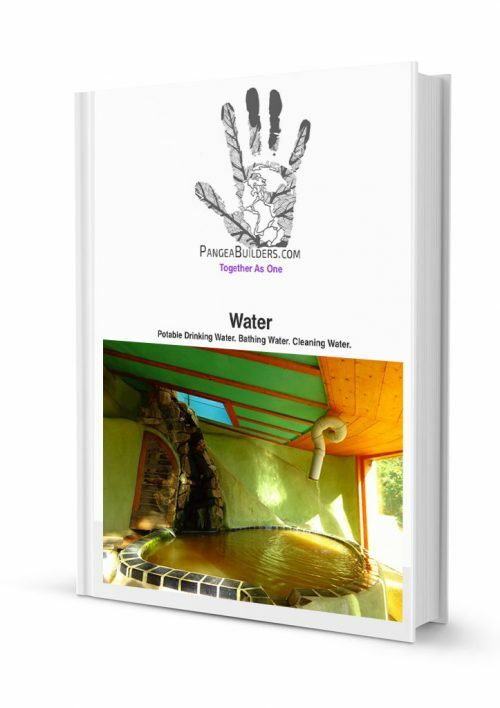 Our intention of this course is to teach you all about how to catch water from the sky, source it also from a well/city, clean the water, filter the water so we have drinking water and bathing/cleaning water. 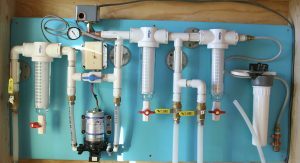 Understand how this system works, how it cleans and filters water, how to heat the water and how to maintain this system. The average American uses 80 -100 gallons of water per day. Less than half is used for cooking or drinking, all of it is most likely treated, potable water from the local municipality. Potable Water: water that is safe to drink or to use for food preparation, without risk of health problems. Alternatively, water can be ‘harvested’ or ‘caught’ from the sky and gathered or stored in cisterns. This ‘catch water’ is then filtered to make ready for human consumption and use through filters. 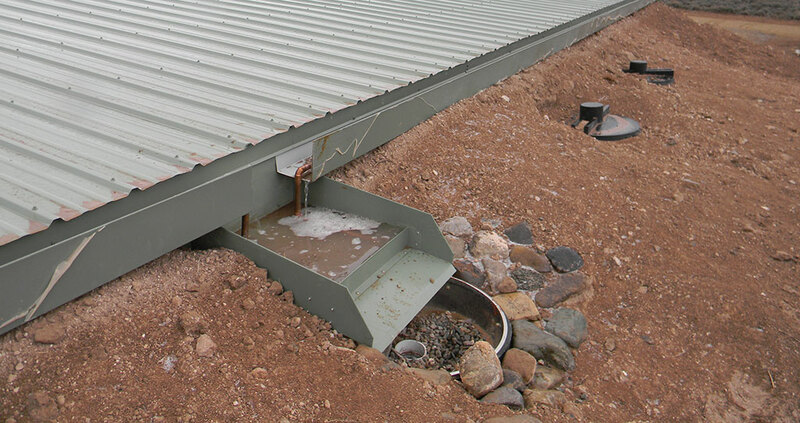 The cisterns can be buried, preferably above ground or integrated into the interior of the building and used as a heat sink and optionally have a small waterfall incorporated. 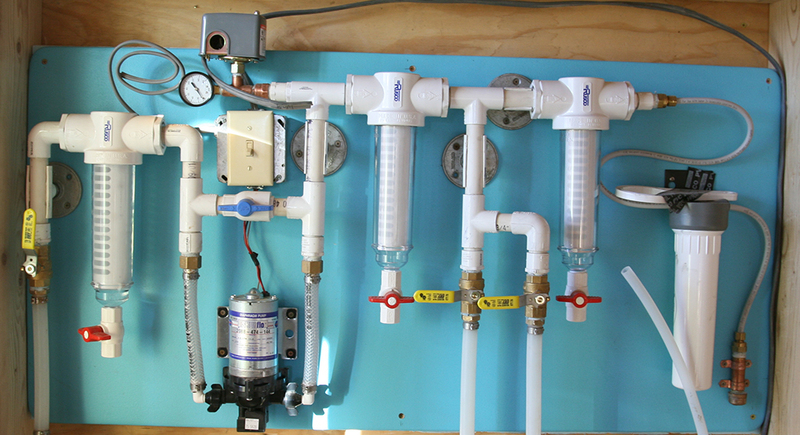 The Cistern(s) can be ‘inter-tied’ to connect to municipal water so that when the water gets low, to a prescribed level, more water can be automatically added. Water efficiency is the smart use of our water resources through water-saving technologies and simple steps we can all take around the house. Using water efficiently will help ensure reliable water supplies today and for future generations. Best of all, everyone can play their part in preserving our water sources. Small household leaks can add up to gallons of water lost every day. Check plumbing fixtures and irrigation systems each year. The average household’s leaks can account for more than 10,000 gallons of water wasted every year and ten percent of homes have leaks that waste 90 gallons or more per day. an overview of the system and how it works.